Monetary and fiscal policies adopted by the State Bank of Vietnam and the Ministry of Finance respectively have to compliment each other to help curb inflation, improve the balance of payments and reduce the State budget deficit, NA deputies said on Friday. 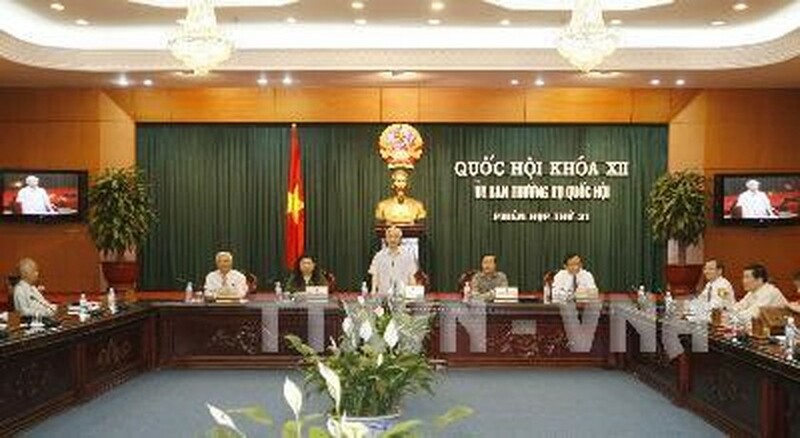 National Assembly Chairman Nguyen Phu Trong speaks at the opening of the 31st National Assembly Standing Committee session on May 6. This would, in turn, ensure sustainable growth, they added. The National Assembly Standing Committee gave its opinion on a Government report on the socio-economic situation and the State budget in 2009 and the first months of 2010. 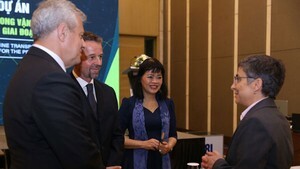 In the report released on the second day of the 31st session in Hanoi on May 7, the Government said 17 of 25 targets assigned by the NA had been fulfilled or exceeded in 2009. Some impressive achievements were gained in implementing the socio-economic development plan in early months of this year, the report said. The foreign exchange market had been gradually stabilized and its liquidity was improved. The exchange rate of the dong to the US dollar on the free market has come close to the official transaction rate at commercial banks. However, the consumer price index (CPI) has risen sharply in early months, especially in essential goods that directly affect people’s lives. In late 2009 and early 2010, most enterprises, especially small and medium-sized ones, faced difficulties in accessing loans and their production and business were drastically affected, negatively impacting economic growth in the remaining months of the year, the report said. The trade gap was still high at US$4.7 billion in the first four months of the year in while the balance of payments had reached US$8.8 billion last year, it noted. Regarding the State budget, the NA Finance and Budget Committee (NAFBC) said overspending at 6.9 percent of GDP should be considered a shortcoming in State budget management last year. The NAFBC warned that managing the State budget and ensuring national financial security will become more difficult in 2010 than 2009 since the increase in budget deficit to over 5 percent of the GDP as well as the increase in issuance of Government bonds have pushed the Government debt to 44.6 percent of GDP.